You are at:Home»Execs to Know»Top 25 Execs to Watch in 2019: Dennis Kelly, Buchanan & Edwards, Inc. Under Dennis Kelly’s leadership, Buchanan & Edwards has grown both organically and through acquisitions and is expected to continue its forward march in 2019. “In addition to strong organic growth, the acquisition of R2C has expanded our customer footprint, contract vehicle access and created a more diverse customer base,” said Kelly, company president and CEO. 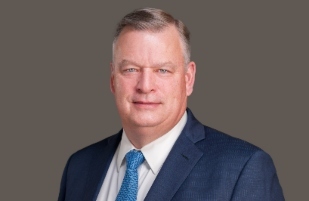 A Navy veteran and professional with more than 25 years of government contracting experience, Kelly is also an adjunct professor at George Mason University, where he teaches in the Executive MBA Program. While work in 2018 focused on helping organizations transform through areas such as big data analytics, cloud solutions and cyber intelligence, Buchanan & Edwards is entering 2019 with several new infrastructure supports designed to foster growth. Those include a new accounting platform as well as business development systems.